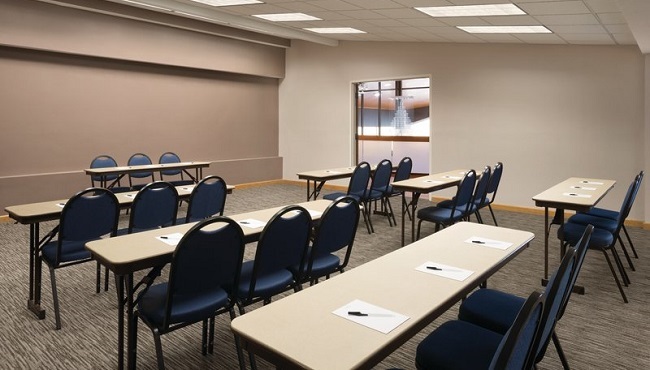 The Country Inn & Suites, Indianapolis East is proud to offer a professional event venue that’s perfect for sports team huddles, birthday parties, corporate meetings and more. Our meeting space can accommodate up to 70 guests and features an array of flexible configurations. If you aren’t sure how to arrange the tables and chairs, ask our friendly staff for assistance. Planning an overnight stay for your group in Indianapolis? Book a block of rooms to keep your attendees close together.